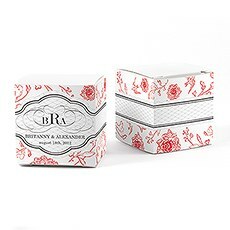 With our delightful favor box wrappers, you can transform an ordinary, every-day box into a stunningly detailed favor box that is sure to capture the delight and the fancy of your family and friends.See how easy it can be to customize these fabulous favor box wrappers. 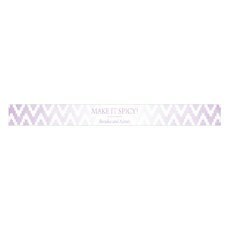 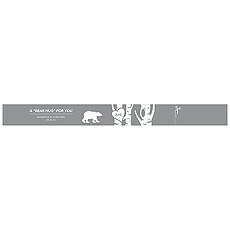 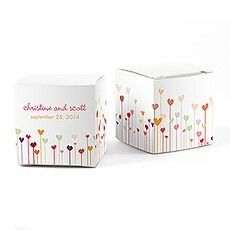 Add your name, your wedding or party date, a fun saying or quote - and voila! 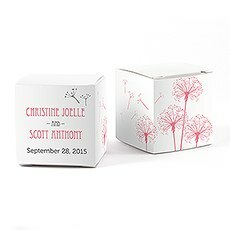 Our customized favor box wrappers are a perfect touch every time - we guarantee that they will be a charming addition your wedding favors and boxes filled with candy, treats and more.Use your imagination - wrap cube-shaped boxes, matchboxes or our salt and pepper shakers with the help of these custom-designed wrappers and create a magical, customized tabletop setting that will impress your guests.Choose from dozens and dozens of colors, designs and styles. 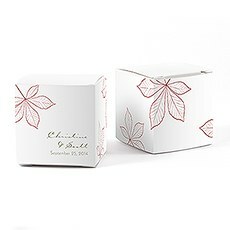 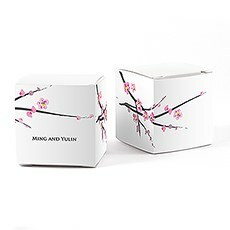 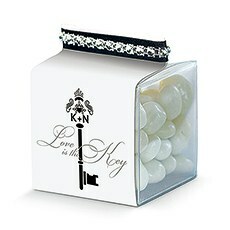 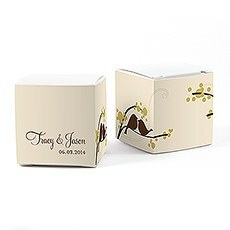 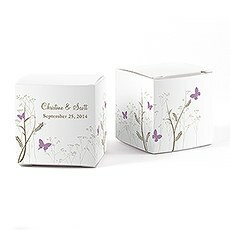 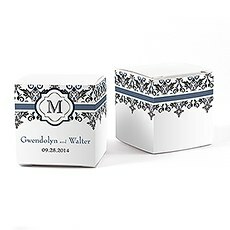 Match these personalized favor boxes with your wedding's colors, theme or the season. 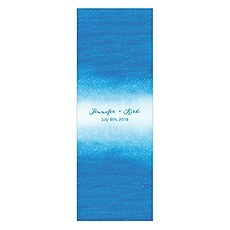 Many designs are available in a multitude of colors - choose your favorite! 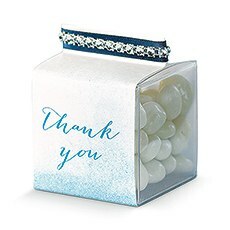 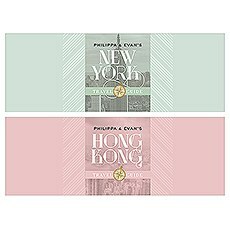 These personalized favor box wrapper decorations will easily suit every individual taste or personal preference.Do prefer classic romantic or vintage designs? 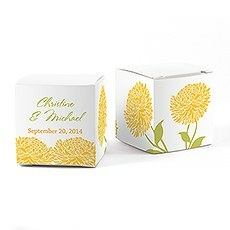 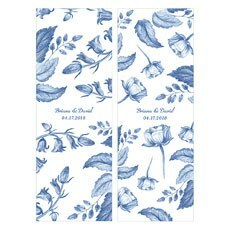 We have dozens of options for you - such as the Floral Orchestra, Love Bird Damask, Garden Party, Dandelion Wishes or Hearts cube favor box wraps. 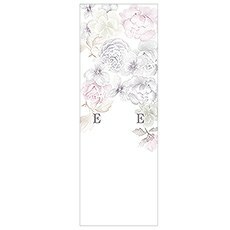 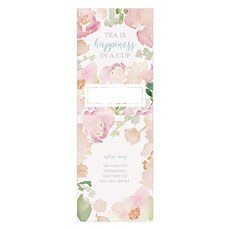 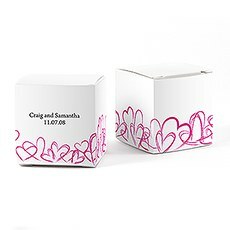 For summer or spring time weddings, bring out the love of floral designs, buds and fresh greenery with our Zinnia Bloom, Love Bird or Romantic Butterfly favor box wraps. 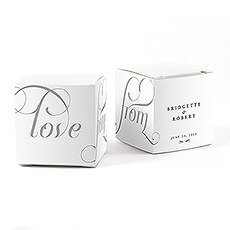 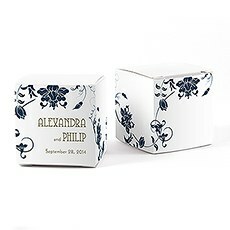 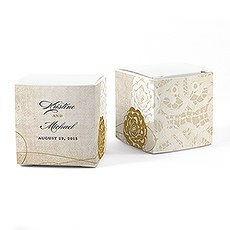 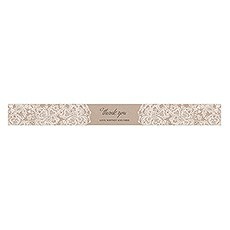 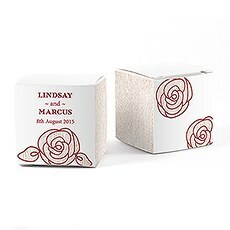 For a classically sophisticated and tried-and-true design, opt for our Lavish Monogram, Eclectic Pattern and Rococo Monogram cube favor boxes.Create and preview these customized labels online - choose your color options, sayings, names, dates and more, and Weddingstar's customization tool will do the rest for you.Weddingstar makes shopping and personalizing all of your items super easy and economical. 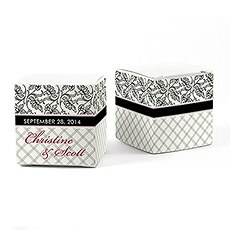 Adding these details doesn't have to cost a fortune, either. 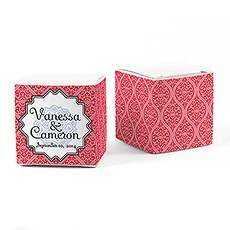 Our great prices and great service will surprise and delight you - and will keep you coming back to shop with us over and over again!